3 The Second Great After 1790 Religious movement that rejected Calvinistic beliefs. Involved emotional revival ceremonies. Brought Christianity to slaves and reformed African American Churches. 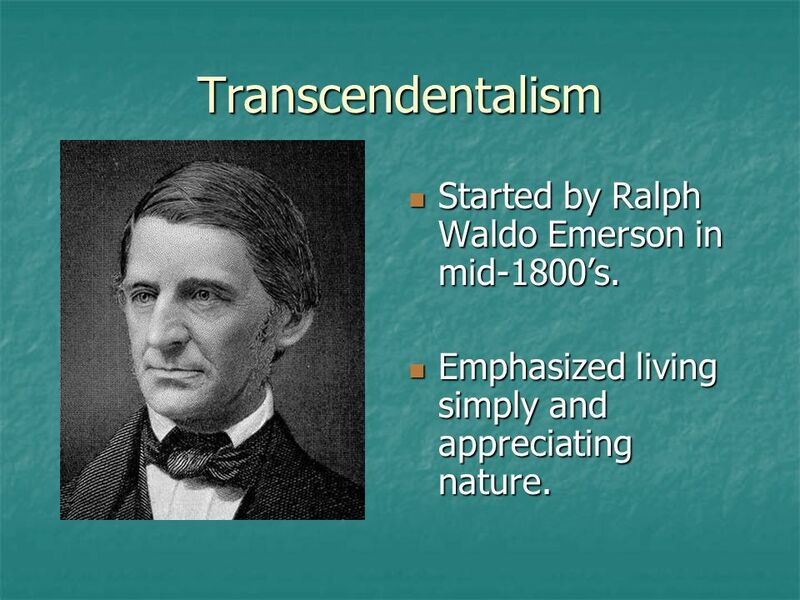 4 Transcendentalism Started by Ralph Waldo Emerson in mid-1800’s. Emphasized living simply and appreciating nature. 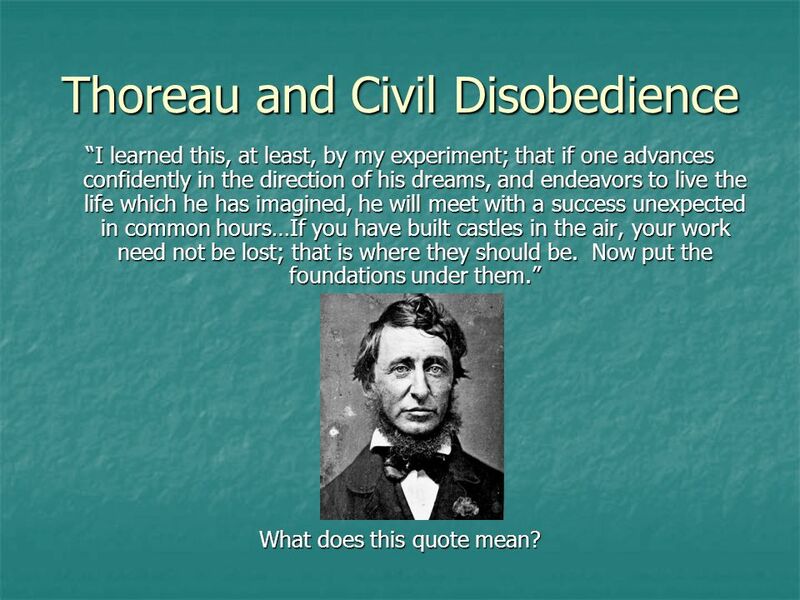 “I learned this, at least, by my experiment; that if one advances confidently in the direction of his dreams, and endeavors to live the life which he has imagined, he will meet with a success unexpected in common hours…If you have built castles in the air, your work need not be lost; that is where they should be. Now put the foundations under them.” What does this quote mean? Unitarianism Emphasized reason and appeals to conscience as the paths to perfection. 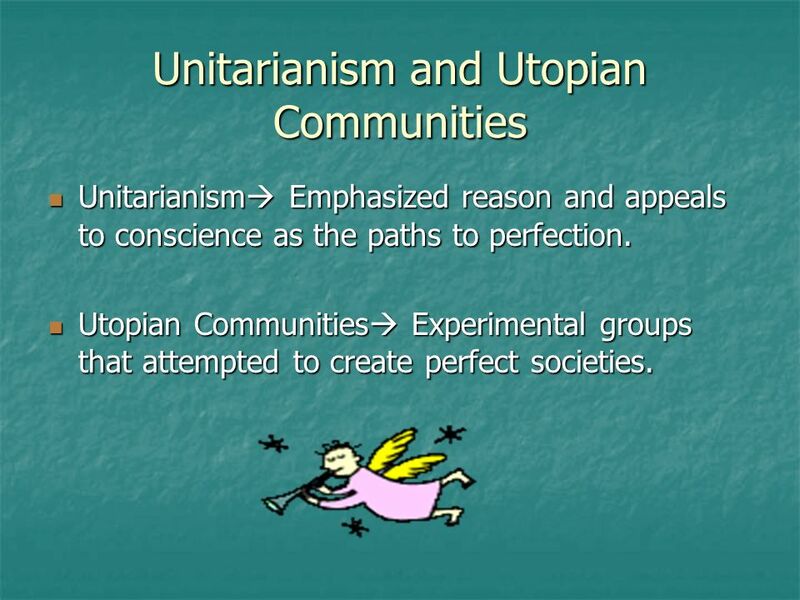 Utopian Communities Experimental groups that attempted to create perfect societies. 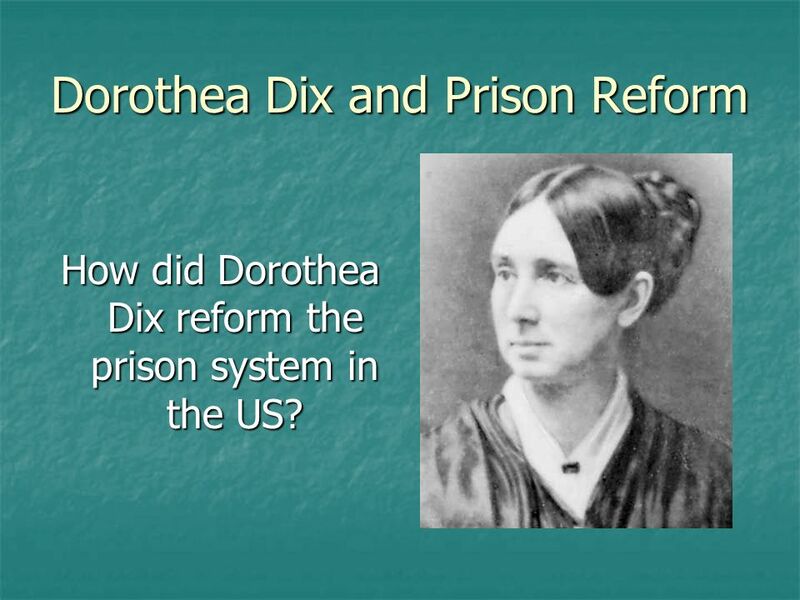 How did Dorothea Dix reform the prison system in the US? 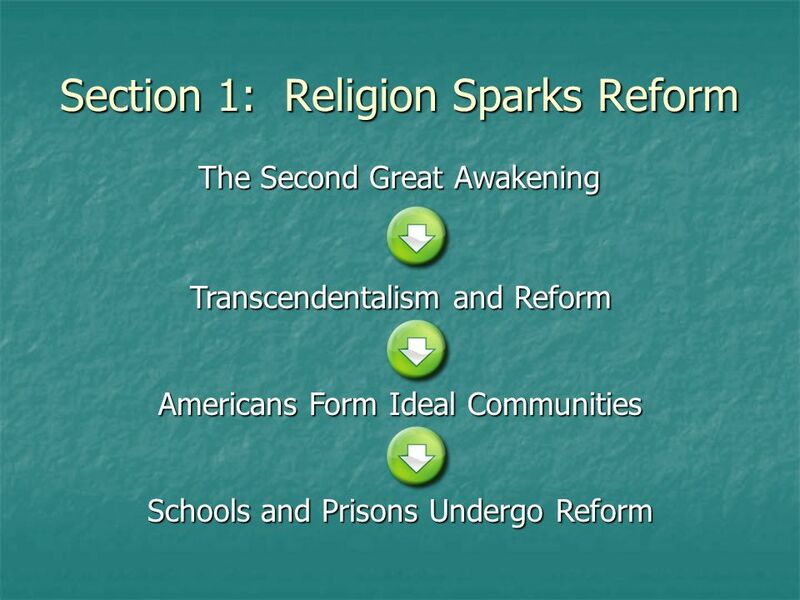 8 How was American education reformed in the mid-1800’s? 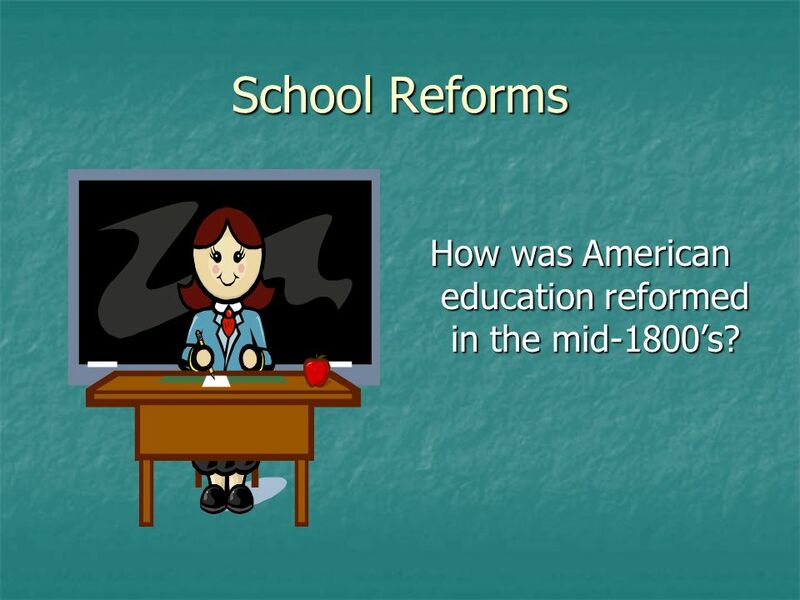 School Reforms How was American education reformed in the mid-1800’s? 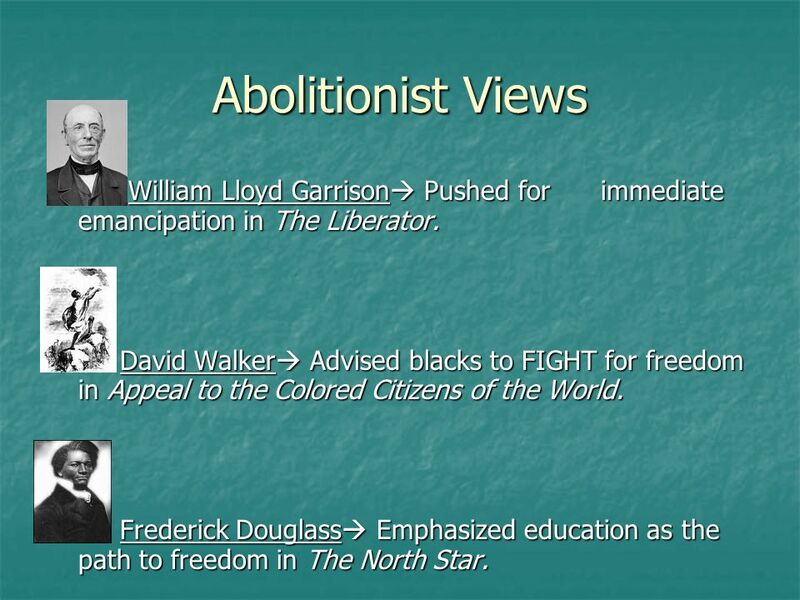 10 Abolitionist Views William Lloyd Garrison Pushed for immediate emancipation in The Liberator. 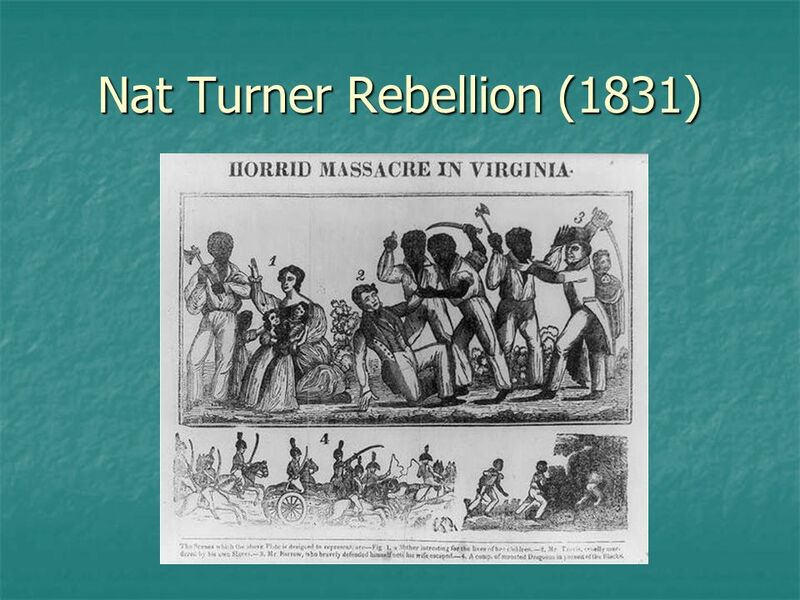 David Walker Advised blacks to FIGHT for freedom in Appeal to the Colored Citizens of the World. Frederick Douglass Emphasized education as the path to freedom in The North Star. 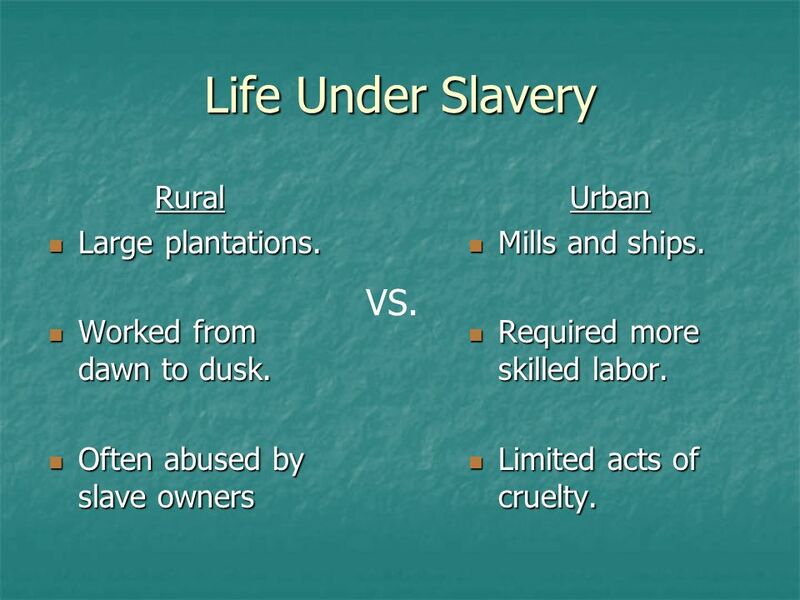 11 Life Under Slavery VS. Rural Large plantations. Worked from dawn to dusk. Often abused by slave owners Urban Mills and ships. Required more skilled labor. Limited acts of cruelty. VS. 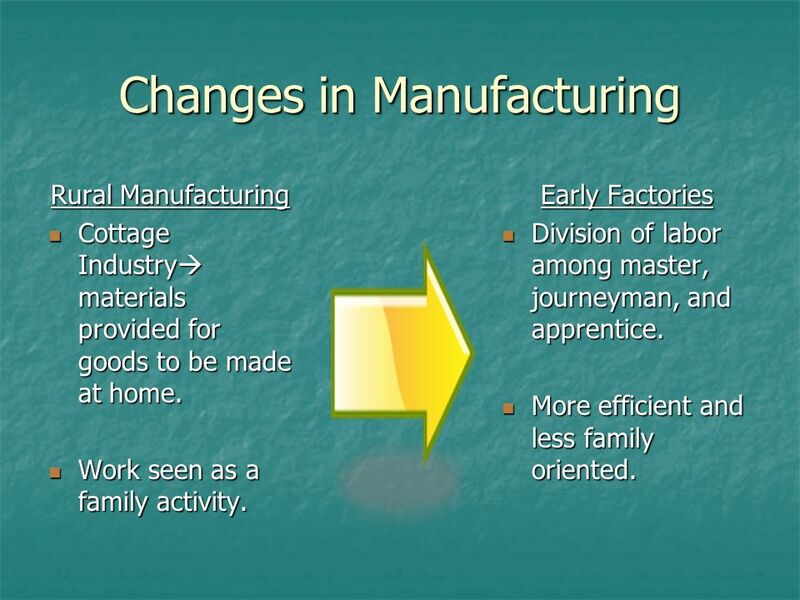 Rural Manufacturing Cottage Industry materials provided for goods to be made at home. Work seen as a family activity. 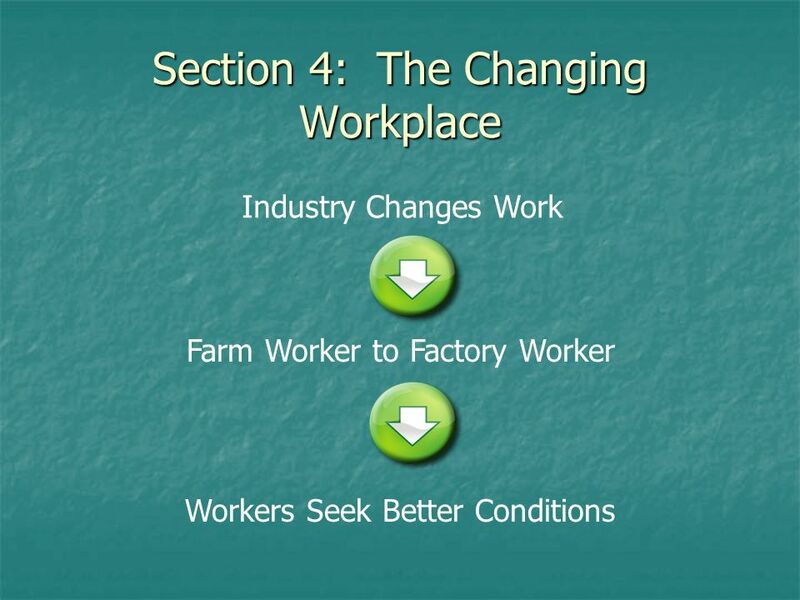 Early Factories Division of labor among master, journeyman, and apprentice. More efficient and less family oriented. 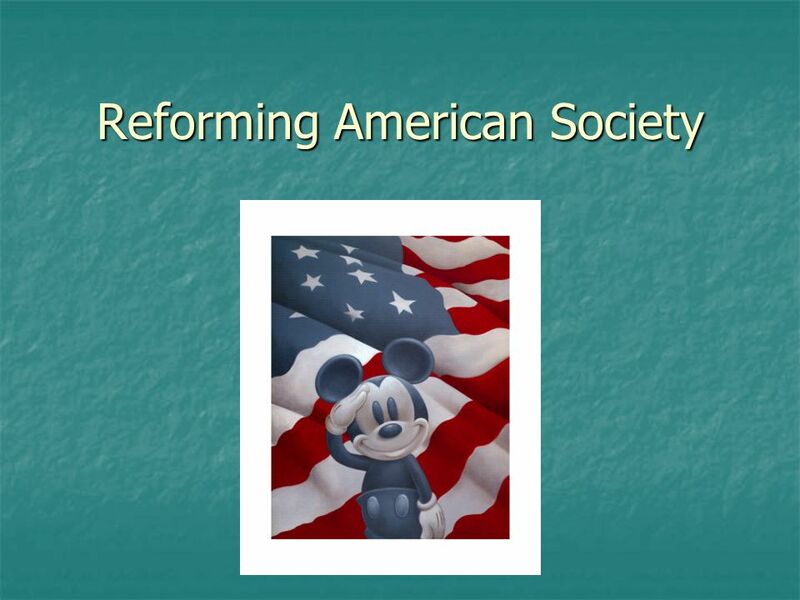 Download ppt "Reforming American Society"
Ch.3 Sec.5.  People wanted to improve themselves & society  Influence of Jackson (people control)  2 nd Great Awakening  Christian movement 1790s-1830s. 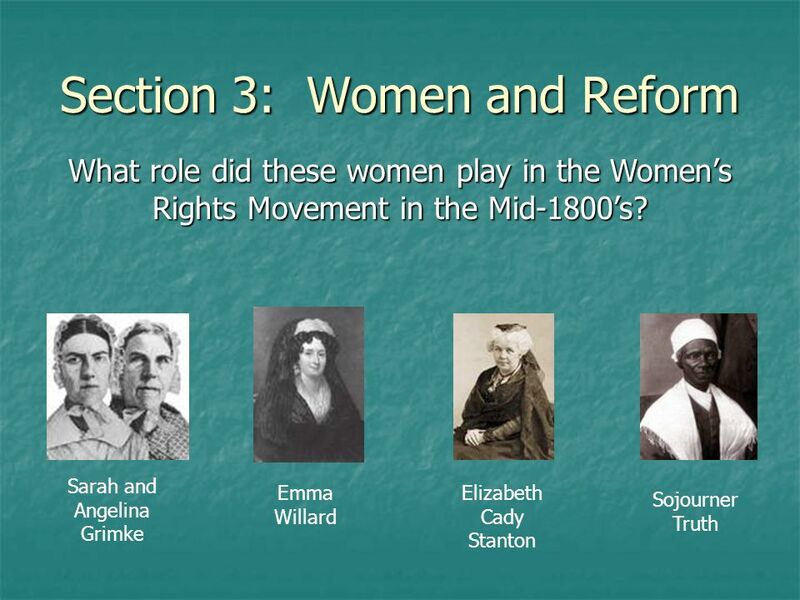 Religion & Reform Slavery & Abolition Women & Reform. Short Answer and Essay Questions. 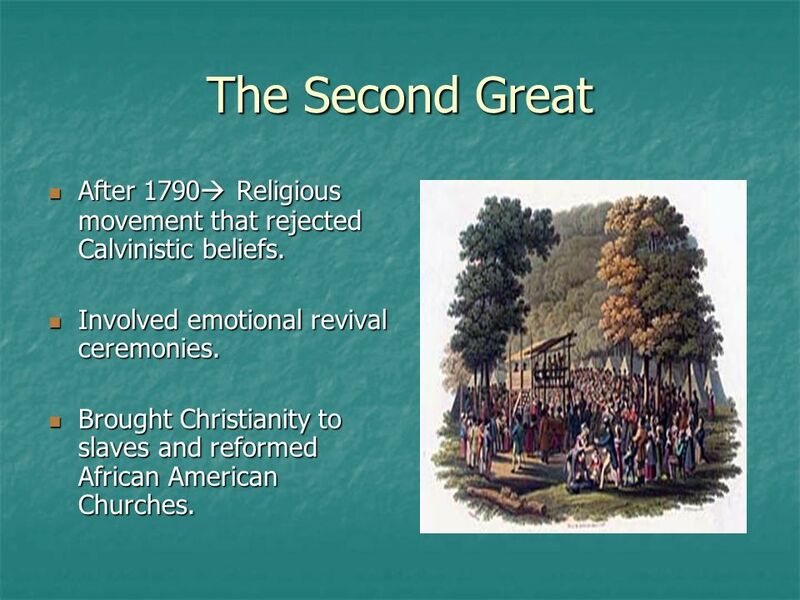 African Americans & The Great Awakening Christianity was spread in the African American communities during the Second. 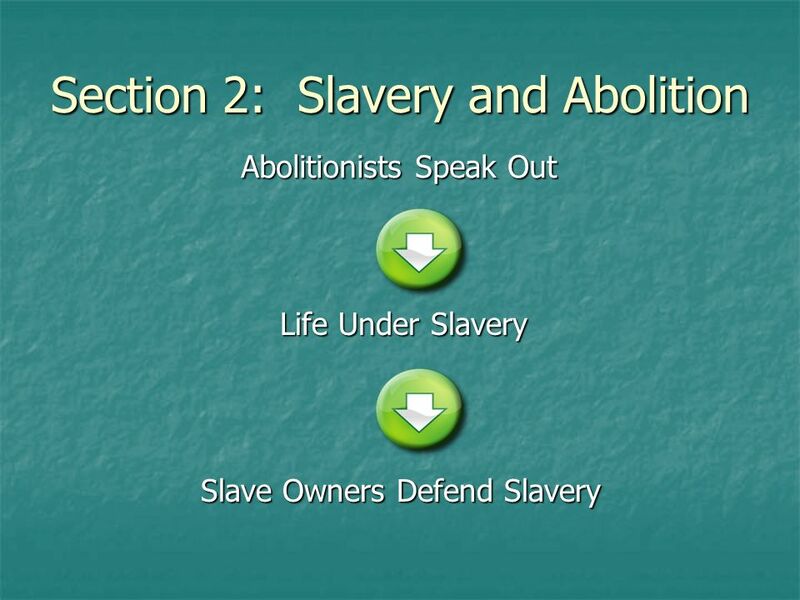 Slavery and Abolition Chapter 8 Section 2.